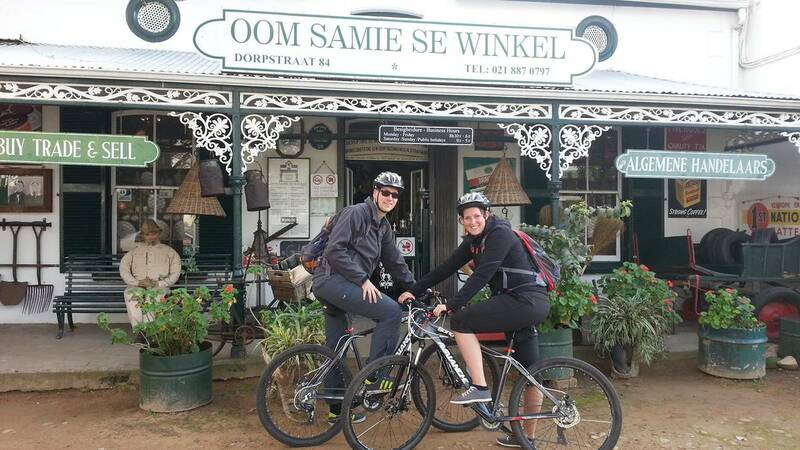 The tour starts 9:00 at Adventureshop (located at Blackhorse Centre, Corner of Dorp and Mark Street). Each rider will collect a bike and helmet to suit their size. E-Bikes also available. 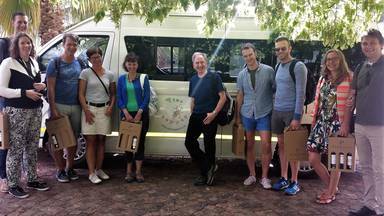 We will carry a snack pack for each rider and the guide will have space in the backpack for those who would like to buy wine en-route. 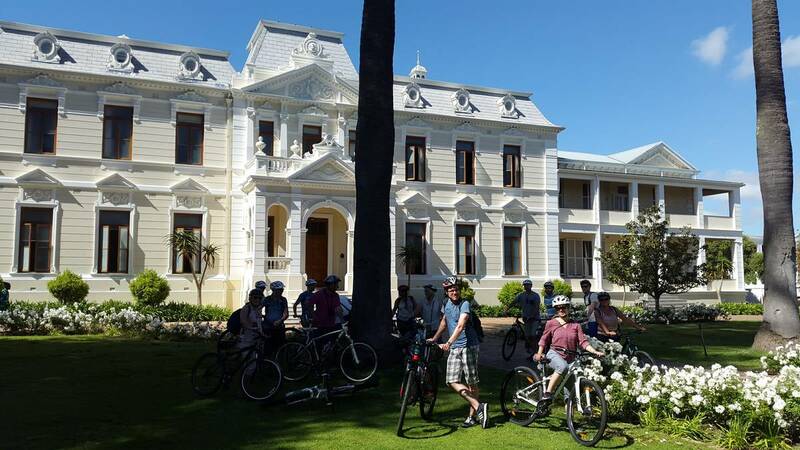 The tour starts with a historic tour of Stellenbosch, visiting some of the historic sites in town. 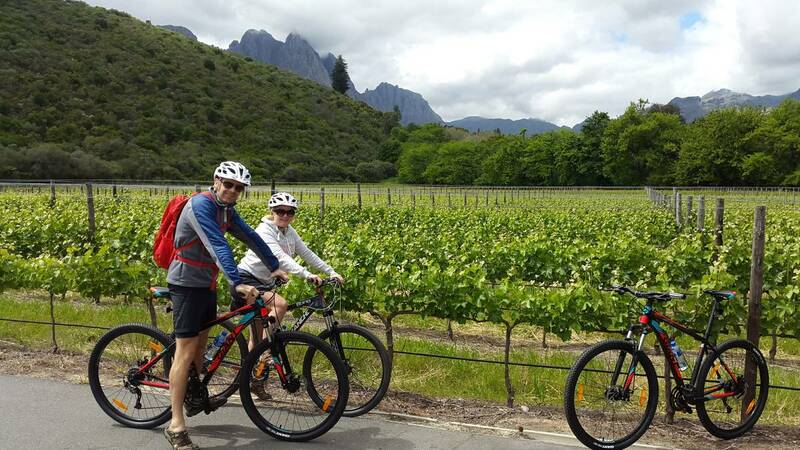 We will cycle through Stellenbosch and head to the scenic Jonkershoek Valley. 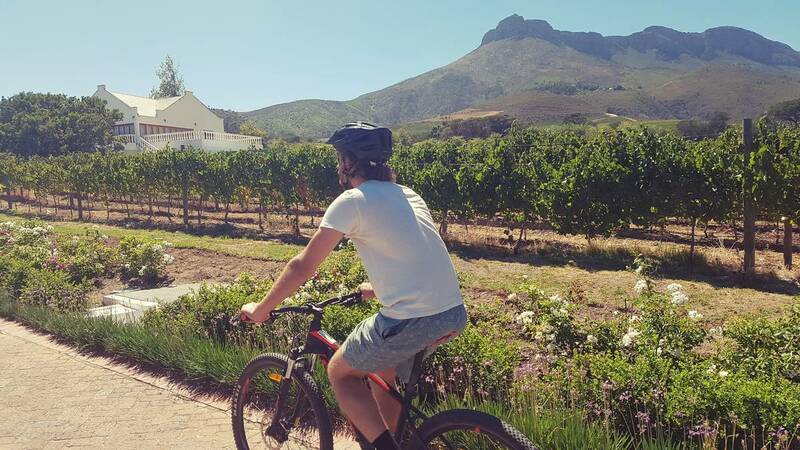 A winding road through oak and poplar forests will take you to a wine estate nestled in the valley bottom, here you can take in the stunning views while doing wine tasting of award winning wines on an island in a lake. 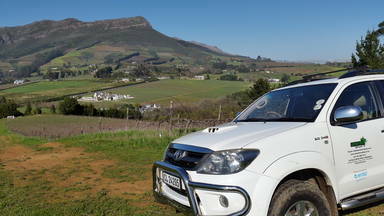 On the way out of the valley, you will stop at another wine estate which sports beautiful grounds and historic Cape Dutch architecture. 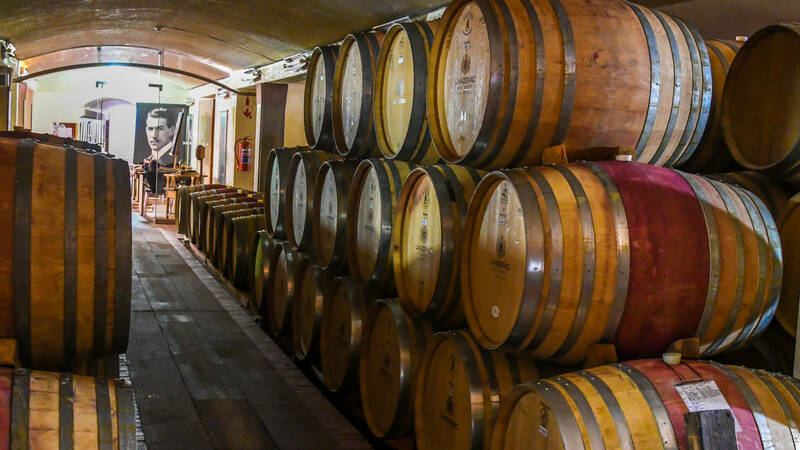 Here we will do a cellar tour before we start our Chocolate and Wine pairing that will make your taste buds tingle. There are some variations to the route, with varying levels of difficulty so the tour can be tailored to suit your cycling ability. Family tours can also be booked. Children under 5 years are free (cycle in baby seat with parents). Children who cycle on their own, full rate. Children will do Chocolate and Ice tea tasting. Things to BringBring your camera, sunscreen, comfortable clothes to cycle in.